Aside from the country’s food, fashion, and art, the Japanese culture is also heavily invested in music and entertainment. Others may consider it a form of art as well and they wouldn’t be wrong to do so because music and entertainment is definitely a work of art. It is something that only a certain type of talent can create and, fortunately, Japan is abundant in this type of talent. With this said, there are a number of bands and artists that you can talk about to discuss certain the importance of timing, preparation, and luck in making it big in the industry but none would be as effective as an example than the famous and beloved Japanese band called Exile. The Japanese band known as Exile has gone a very long way in their career. Having spent nearly 20 years making great music and giving world-class entertainment, it is undeniable that the group has become an icon in the Japanese music industry. They were and still are pretty amazing considering the number of people that are a part of their tribe of fans but to truly appreciate the status that they have right now, you should probably learn a bit about how they started and that story started in the year of 1999. Initially, the group was called the J Soul Brothers and it would stay that way until the year 2001. The reason why they chose to name themselves as Exile is unclear but in any case, it clicked with their audience. This first generation of Exile was made up of six members who were namely Hiro, Matsu, Usa, Makidai, Shun, and Atsushi. When they debuted, they had Atsushi and Shun playing the role of their lead vocalists while Hiro played their leader and they were a great combination. Their chemistry as a group was established all the more as they sold millions of copies of their album that they released in November of 2003 which had their remake of Zoo’s amazing single entitled “Choo Choo Train”. Coincidentally, the band “Zoo” was the previous band of Hiroyuki Igarashi. Zoo played for the label For Life Music while Exile played for the label “Rhythm Zone” which was a label under the Avex Group. This is important to note because the president of the Avex Group at the time was Max Matsuura and he was a friend of Hiro since their high school days which makes it quite an inspiring story. It is also interesting to note that the company called LDH Japan Inc, who founded Exile, was headed by none other than Hiro as well. He made it open to the public that LDH meant “Love + Dream + Happiness”. Since Atsushi was a huge fan of Boyz II Men, which is an American Rhythm and Blues group, and he was also the lead vocalist of the group, it is highly noticeable that in their early works, they leaned towards having an R&B sound as well. It worked for them but as they progressed, they moved towards creating more pop music. This branching into a different sound proved to be an excellent move for them because the singles they released after that change were the ones that reached number 1 on the Oricon weekly charts. A perfect example of such an event would be when they released the single entitled “Real World” which happened in the year of 2004. If that wasn’t enough to convince you of the growth in their success, the year after “Real World” was released, Exile collaborated with the Japanese rock band named “Glay” to create something that would hit number 1 on the Orion Charts once again and sell over 500,000 copies. It was called “Scream”. They continued their hot streak by releasing “Tada…Aitakute” in December of 2015 and then releasing “Yes!” a couple of months after, particularly in March of 2006. Both these singles claimed the throne of the Oricon Weekly charts for a while and it seemed like nothing could ruin the roll that Exile was on. Sadly, around the same time that they released their song entitled “Yes!”, one of their lead vocalists, Shun, announced his plans to depart from the amazing group to pursue his solo singing career. Any band who would lose one of their lead vocalists would have a difficult time recovering but searching and acquiring a talent like Takahiro in September of 2006 made what seemed impossible became a possibility. Takahiro, along with Akira, joined the group and they were the newest members of the long-time group, people referred to them as the second generation of Exile. It wasn’t instant but better times did come once again for the group and it started on February 14, 2007. It was on that day that Exile released a song that got the number 1 spot on the Oricon charts. They have done this several times in the past but since Shun left, they experienced a drought from getting this honor. The title of the single was “Michi” and it was all the new generation needed to get the ball rolling for Exile once again. That same year, they released an album entitled “Exile Love” and in 2008, it had become the top-selling album of the year with over 1.5 million copies sold. With that much copies sold, they could have afforded to relax a little bit but the momentum they were on was something else because it led to the next album they released which was a compilation album. Taking into account that this album was a collection of previous singles, it shocked the world to see that it had sold nearly 1 million copies in its first week of sales alone. They even won the Grand Prix Award of the Japan Records Award for a song entitled “Ti Amo” which happened to be a certified Million by a group called RIAJ. This acronym stands for the Recording Industry Association of Japan and the certification they gave to “Ti Amo” was because of the 1 million full-track ringtone downloads recorded by that song. The blessings kept coming in the year of 2009 as one of their older songs, particularly the one entitled “The Next Door”, was used as the famous “Street Fighter IV” game’s theme song. It clicked so well with the designers that they even used the English version of Exile’s song as the theme song for the international edition of the game. This feat might not seem like a massive one but if you think about it, it was a great way to let more people hear their sound as people from all kinds of ages and origins play these types of games. Taking into account all the accolades and accomplishments that they achieved when the second generation came, it seemed like the group was about to reach a new peak in their career. Everything seemed to be going smoothly for them which is why it shocked a lot of people to find out that Exile expanded once again by merging with the boy band called Nidaime J Soul Brothers. There was definitely no need to expand because they were doing great as they already were but, overall, this move helped them get even better. The Soul Brothers, whose members at the time were the likes of Tetsuya, Kenchi, Keiji, Nesmith, and Shokichi, were a band revived under the supervision and guidance of Exile Hiro. With this being the case, it was understandable why they had no problems syncing with Exile within a short period of time. The success of the transition and merger was quickly and easily seen as the Exile with the third generation was able to win the Grand Prix Award for two more times consecutively in the 51st Japan Records Awards and the 52nd Japan Records Awards. They did so with their song “Someday”, which won the award at the 51st JRA, and “I Wish for You”, which won them the award at the 52nd JRA. This year also marked the 3rd time they won the Grand Prix as they won it in the years of 2008, 2009, and 2010. Not only did Exile win all kinds of awards, they were also able to contribute to the history of Japan through a CD entitled “Taiyo no Kuni” or “The Country of the Sun”. That particular CD was no ordinary album because Avex released it to commemorate the 20th anniversary of former Emperor Akihito’s accidence. The CD album may not have reached any ranking on the Oricon charts but there was no denying that this cultural contribution made by Exile was one that will always be remembered. Exile’s Grand Prix winning streak was put to a stop when the idol group AKB48 won the award at the 53rd JRA in the year of 2011 but they didn’t cry over it because that year was also when they, as a group, got recognized to be the 3rd top-selling artist in Japan because of the 5.6 billion Yen that they were able to bring in. if that wasn’t enough of a consolation for missing out on the Grand Prix, in the following year of 2012, they were once again recognized as a top-selling artist in Japan but this time around, it would be the 2nd place that they would receive because of the 12.2 billion Yen that their singles and albums sold that year. The year of 2013 was also a big year for the band because of several things and the biggest amongst those “things” was definitely the announcement that Exile’s leader, Hiro, made about retiring from the group at the end of 2013 after 24 years of being a performer. This saddened a lot of fans as well as band members but Hiro was able to keep all their hopes up by also announcing that he would still be playing the position of their leader and producer. This was vital because it ensured that the quality and direction of the group which had brought them so much success would stay that way under his leadership. In addition to this news from Hiro, 2013 was a big year because it was also when they were able to reclaim the throne of the Grand Prix at the 55th JRA with their 41st single entitled “EXILE PRIDE – Konna Sekai wo Aisuru Tame”. Aside from this song landing them the award, it also turned out to become their best-selling single of all time because it went way past the 1-million mark in a matter of months from its release on April 3, 2013. If you are curious to know exactly how long it took, all you need to know is that it crossed 1 million in the month of October during that year as well. With Hiro retiring from the group at the end of 2013, it was already expected that they would start to search and recruit new talents for the group. 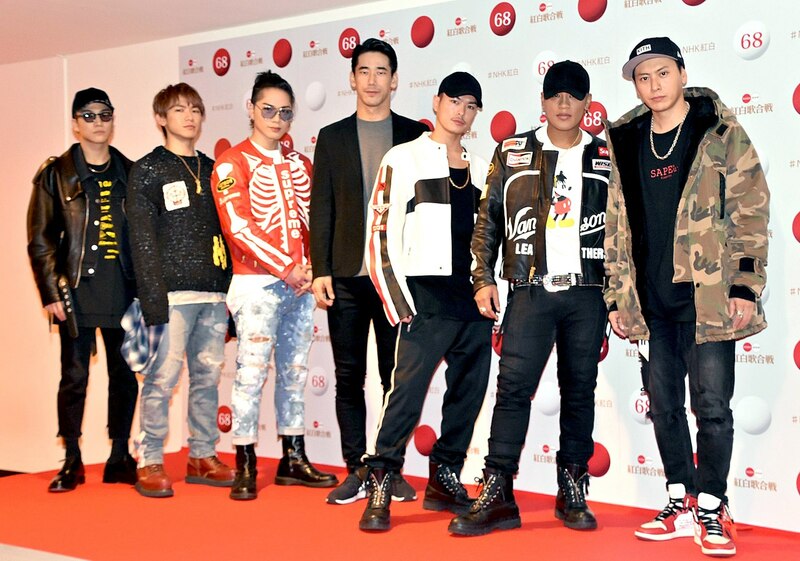 This time, they made use of an audition they called the “EXILE PERFORMER BATTLE AUDITION” and it would be from this audition that the likes of Takanori Iwata, Alan Shirahama, Mandy Sekiguchi, Taiki Sato, and Sekai Yamamoto got to join the talented band of Exile. This over-acquisition of talents was not seen as a bad thing because, in 2015, the other original members of the band decided that it was time for them to retire as well. This meant that the only original member existing in Exile as a performer is their original lead vocalist, Atsushi. Looking back at the journey of Exile, there is no doubt that their list of achievements would be filled with billboard awards, gold disc awards, unforgettable live shows etc... Throughout the duration of their career, they have probably dropped an amazing song or album in the month of January, March, August, June, September, February, December, and any other month of the year for that matter and it is truly commendable because not every band is the world has been able to do that consistently over a span of 20 years and counting. They have given so much to their fans as well as the younger talents aspiring to reach and accomplish what Exile has been able to during their time. They should really be appreciated more while they are still active because there will certainly never be anything like this particular group of talents for a very long time. With this said, if you are ever able to catch a tour of theirs, grab the opportunity and see how good they really are for yourself.